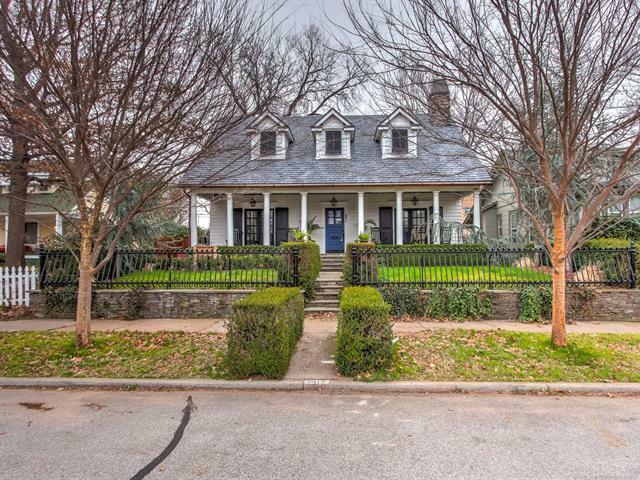 Incredible completely renovated home in Historic Riverview in Downtown Tulsa! No detail overlooked, impeccable attention to preserving architectural details of the era. Heated wood floors on both levels. Attic converted into full master suite, wooden staircase imported from historic home in Chicago. Downstairs Jack & Jill full bath plus powder bath. Original moulding & paneling. Fantastic curb appeal, partial basement for storage. 4 blocks from Riverside, minutes from everything Downtown & Cherry Street!